There are many photo apps available for social networking, like the incredibly popular Instagram. However, there are many features to Snapchat that help explain its popularity and set it apart from other platforms. At first glance, Snapchat's purpose may seem odd. Why would someone want to take photos that are deleted within seconds? However, if you stop seeing it as a photo app and start seeing it as a communication tool, its usage case becomes very clear. Snapchat CEO Evan Spiegel explains that Snapchat was created to facilitate how younger people communicate with photos today. In the past, you would take photos to commemorate events. Today, those raised in the mobile social networking generation will take dozens and dozens of photos to share back and forth with friends. In effect, says Spiegel, "Pictures are being used for talking." While the app has users across the age spectrum, its primary user base skews younger. 71% of Snapchat users are under the age of 34 and 45% are in the 18-24 age demographic. Compared to Instagram, the average daily usage time of Snapchat by people 25 and younger is higher. Snapchat is also used by 75% of teenagers aged 13-17. Since Snapchat is primarily focused on mobile communication, it can only be accessed via a smartphone or tablet. You can download it from the iTunes App Store for iOS devices or Google Play Store for Android devices. Once you have it installed, you can explore using all of Snapchat's many features. "Snaps" are photos you take with the app that you send to your friends. When you send out the snap, you set a timer with a choice of up to 10 seconds. Your friend will only be able to view the photo for the time that you set and then it will be deleted. 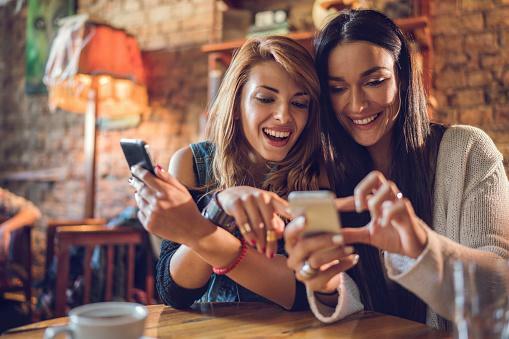 While there's a perception that the photos are gone forever, your friends do have the option of taking a screenshot if they do so quickly enough. Lenses and Filters: These are special effects you can add to photos which range from the artistic to silly, such as adding cartoons to your photos that alter your face. Other lenses add fun backgrounds to your photo that make it seem like you are interacting in a different environment. Emojis and Stickers: You can add a wide range of fun emoji and stickers to your snaps to customize them further. Text: If you want to write messages on your snaps, there's a text editor option and you can even "draw" on snaps. You can also send video snaps. Videos can be up to ten seconds long, but you can record up to six video snaps in a row and string them together to create a longer one. From there you can edit your video before sending it. Unlike photo snaps, these are deleted once you leave the discussion window. "Stories" allow you to create a series of images and videos that essentially tell a "story" of your day. These stories last for 24 hours and are then deleted. Memories are like stories in that they are a collection of images and video, but these are private and can be saved. You can save stories that you have created for others in your memories as well. Another fun feature Snapchat provides is the "trophy case," which works similarly to trophies and achievements in video games. The more you use the app, the more trophies you will earn. Another form of gamification is a "snapstreak," which means you have been communicating with others often within 24 hours on a series of two or more consecutive days. Your name will have special snapstreak emojis next to it during snapstreak periods to highlight your activity. The chat feature functions just as other messaging apps, like Facebook Messenger and WhatsApp. Snapcash lets you send money to friends and family. Discover is a section for companies and information providers to create stories highlighting their products and news. Snapmap can show you where you are located in relation to your Snapchat friends. When Snapchat came onto the social networking scene in 2011, it presented a new spin on online communication. It clearly created a successful app evidenced by how rival social networking platforms soon added similar features to their apps. Facebook added features such as photo filters and stories and the Facebook "poke" was based on Snapchat. Instagram also copied Snapchat by adding messaging, filters and stories. These imitations have not appeared to affect Snapchat's popularity. 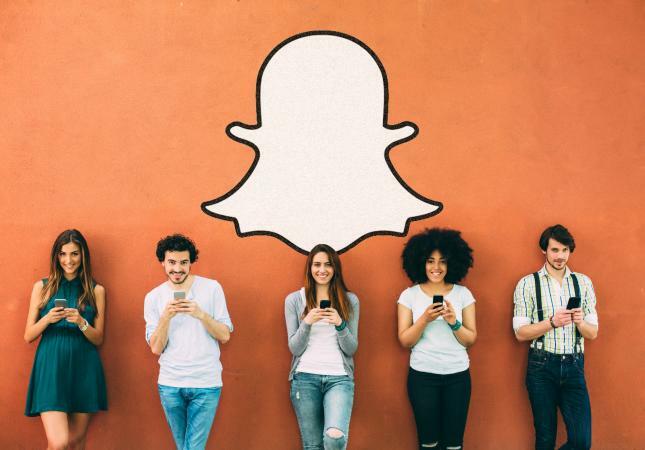 One reason for this may be that Snapchat has a younger demographic than these platforms and it provides a place for people to communicate privately, which leads to a much less contentious space. Unlike apps where user content is posted and remains open to comments, the disappearing snaps let younger people communicate without worrying about others making negative comments. There is no emphasis on status such as the growing the visible number of Facebook likes, Twitter retweets or Instagram comments. Snapchat usage remains strong despite imitators, and its hold on the 12-to-17 and 18-to-24 demographics is solid. It's a creative way to communicate without some of the downsides of other social media platforms. Snapchat will no doubt continue to capture the attention of its youthful audience.